Students and teachers of the course Crystal Flowers in Halls of Mirrors 2013, supervised by George Hart. 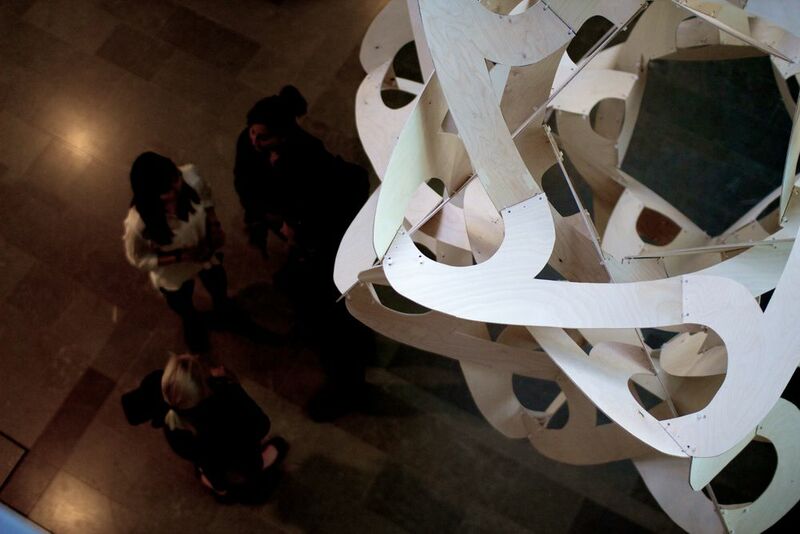 Aalto is a sculpture consisting of a pair of 2-meter diameter. Both the sculpture and the university are named after the Finnish architect and designer Alvar Aalto. The name of sculpture suits well since it consists of two almost identical components like the doubled A of Aalto name. Unlike the A's, the orbs are the same size, but are mirror images. 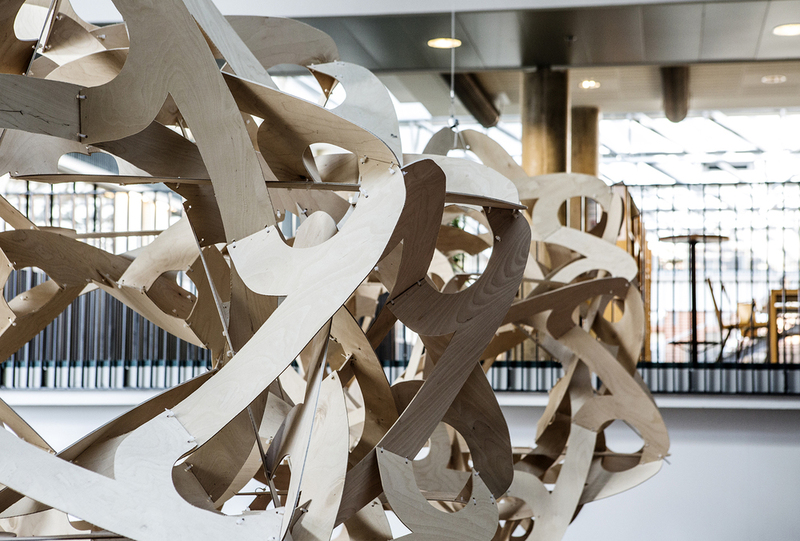 The components of the artwork are made of birch plywood and cable ties.